The Victoria Post Office Directory 1866 gives an amazing snapshot of life in Victoria in 1866. Gold had been discovered in Victoria in 1851 and the population went from 80,000 to 500,000 in 1860. The Victoria Post Office Directory 1866 by H. Wise can be viewed and searched online in Google Books. 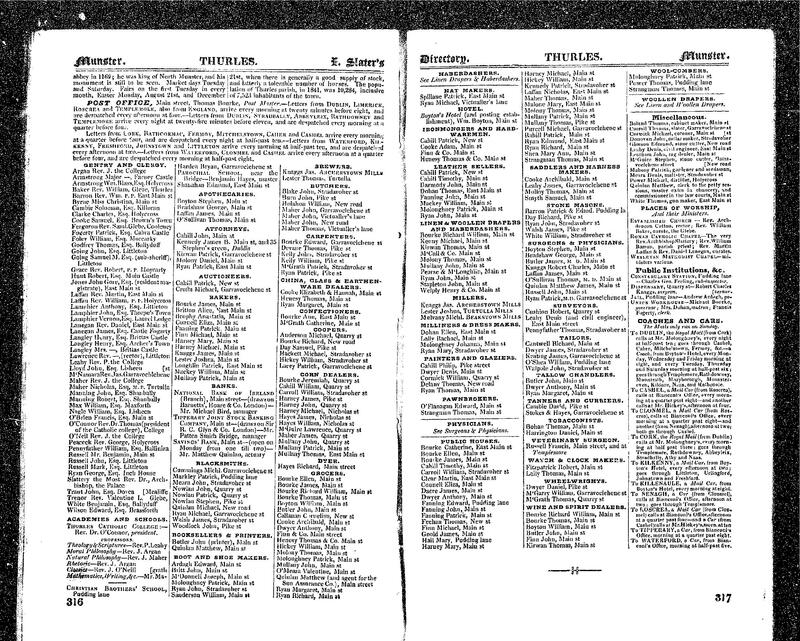 I think it could help with deciphering the place name abbreviations in the Victorian Birth, Marriage and Death records in the Pioneer Index, which covers the period 1838 to 1888. Some of these towns don’t exist today or have had name changes, so looking through this list may help identify possible place names for records. At the beginning of this directory there are also calendars for the years 1866-67. It goes on to cover the names and addresses,and sometimes occupations and businesses of people in the Melbourne area. Aitken’s Gap, Albury, Amherst, Ashby, Avenel, Avoca, Bacchus Marsh, Ballan, Ballarat, Beechworth, Benalla, Beveridge, Bourke, Broadford, Broadmeadows, Browns, Bungaree, Bunniyong, Burrambeet, Carisbrook, Castlemaine, Chiltern,Chilwell, Christmas Town, Clunes Coghill’s Creek, ,Coomoora, Corowa, Creswick, Daylsford, Deniliquin, Digger’s Rest, Donnybrook, Dowling, Duck Ponds, Dunolly, Echuca, Eltham, Essendon, Euroa, Evelyn, Everton, Flemington, Forest, Franklinford, Fryers Town, Gap, Geelong,Gisborne, Glenlyon, Gordon, Guildford, Heathcote, Heidelberg, Hepburn, Huntley, Inglewood, Joyce’s Creek, Keilor, Kilmore, Kingston, Kyneton, Lauriston, Learmonth, Lexton, Little Swamp, Lilydale, Loddon, Majorca, Maldon, Malmsbury, Maryborough, Melton, Miner’s Rest, Moonee Ponds, Moorabool, Mornington, Myrniong, Newtown, Pentridge, Pyalong, Queenstown, Rutherglen, Sandhurst, Scarsdale, Seymour, Smeaton, Smythesdale, Springs, Spring Creek, Springfield, Stanley, Stoney Creek, Sunbury, Talbot, Tallarook, Tarnagulla, Tarrawinge, Templestowe, Vaughan, Violet Town, Wadonga, Wahgungah, Wallan, Wangaratta, Warrenheip, Wimmera, Woodend, Woods Point, Wooragee, Yandoit and Yackandandah. It also lists Gold Offices on the Gold Fields at Ararat, Avoca, Ballarat, Beaufort, Beechworth, Benalla, Blackwood, Castlemaine, Creswick, Daylesford, Dunolly, Heathcote, Chiltern, Jamieson, Majorca, Maldon, Maryborough, Morse’s Creek, Sandhurst, Smythesdale, Stawell, Talbot, Tarnagulla, Wood’s Point and Yackandandah..
After this is a Squatting Directory for Victoria in 1866. There are coach times from Melbourne to many locations. From Bourke St to Kilmore took 5 hours. The Travellers Road Guide gives distances from Melbourne and means of transport available. To get to Clunes from Melbourne involved going by rail to Ballarat and then by coach whereas to get to Alberton taking a steamer to Part Albert was necessary. Distances from Melbourne are given from most locations. Another section called “General Information about Country District” gives distances, nearby towns, often populations and services and sometimes alternative names. At the end of the book are many advertisements for a variety of services and products which give some insight into life in Victoria in 1866. These town names and abbreviations are from the 1869 Post Office Directory of Victoria which you can read and search on Google Books. The Post Office Directory for Victoria for 1888 is also on Google Books. While the abbreviations used in the Victorian Birth, Marriage and Death records are not necessarily the same as those used in the Post Office Directories for Victoria some may be the same. 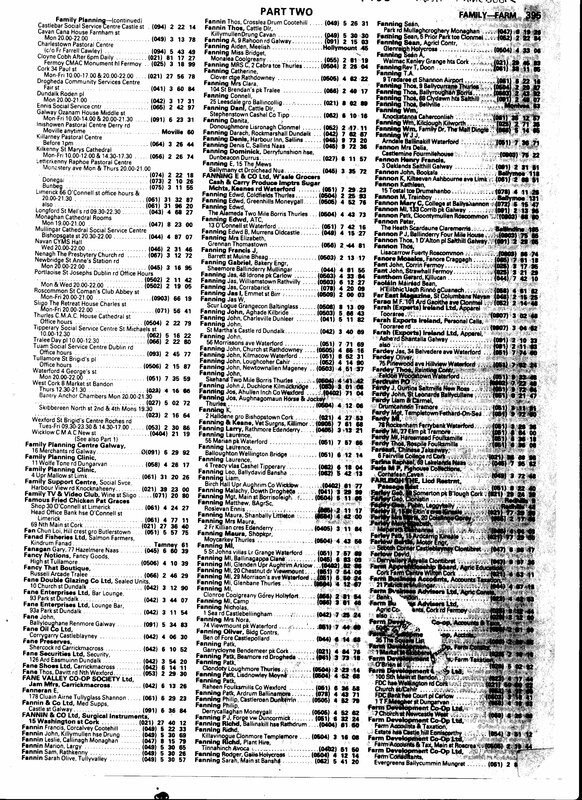 The Pioneer Index for Victoria covers the period 1836 to 1888. Littleton, in the parish of Two Mile Borris, barony of Eliogarty, is 4 miles south-east of Thurles. The land of the district is used chiefly for tillage. Barley, Oats, potatoes, and turnips are the principal crops. In the district there are ruins of Ballybeg castle, the old church of Ballymoreen, and the remains of a large Danish fort at Ballydavid. Catholic Churches at Moycarkey and Two-Mile-Borris. Two Mile Borris is a village of 20 houses, in the parish of the same name. barony of Eliogarty, 3 miles, Irish, east by south from Thurles. The land of the district is good for pasture and tillage. There are remains of castles at Two Mile Borris and Coolcroo. In Google Books you can read and search The Official Post Office Directory Of New South Wales 1867. 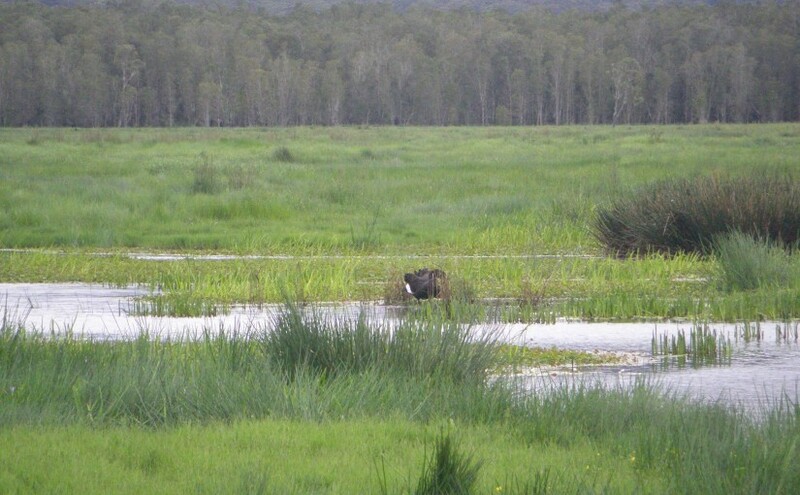 Darkwater Creek, now called Belmore River, on the Mid North Coast of NSW, is the area where Cornelius Gormley lived. He is entered as Cormer instead of Connor Gormley. In the 1872 Post Office Directory a James and a John Gormley, farmers of Darkwater Creek, are listed. They don’t appear in this directory. When my parents visited Ireland in 1988 they went to Thurles. My father souvenired this page from the phonebook probably meaning to contact some Fannings and see if they were connected. He didn’t get around to phoning but brought the page back with him. Perhaps they ran out of time being on a tour group. All he knew was that his ancestors came from Thurles. He had made a list of some of the Fannings from around Thurles from this page and it is a pity he didn’t call them as they were related!